Open your heart this Valentine's Day to give and receive the experience of peace and tranquility through ancient sound as a vehicle to deepen your connection of Divine Love for self and others. Jeff Grissom is a Sound Healer and Reiki Master Teacher with 20 years experience. 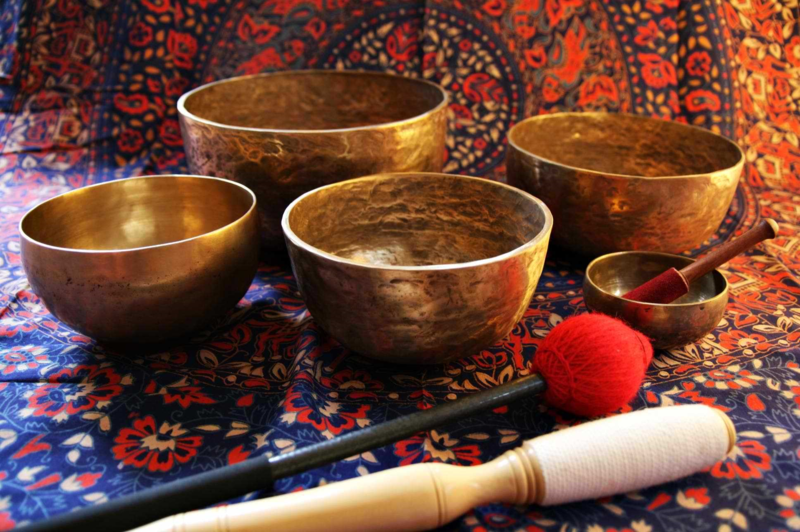 Tibetan Singing Bowls are an ancient and powerful form of vibrational healing and have been proven effective to help reduce stress, relieve pain, create a deep sense of peace, well-being and vitality and to deepen meditation. They are "struck and sung" in specific rhythmic patterns. Our brain waves naturally synchronize to the vibrations of the bowls which engages the relaxation reflex. We will experiment with the signing bowls and Jeff will answer questions.